Both residents and visitors can apply for a saltwater fishing license in Texas, as long as certain qualifications and requirements are met. Senior licenses, lifetime licenses and combination packages are also available for interested applicants. Read the sections below to learn more about licenses to fish in the state. If you do not live in Texas, you can apply for an out-of-state saltwater fishing license instead, which is issued to those applicants who do not meet the qualifications of residency. 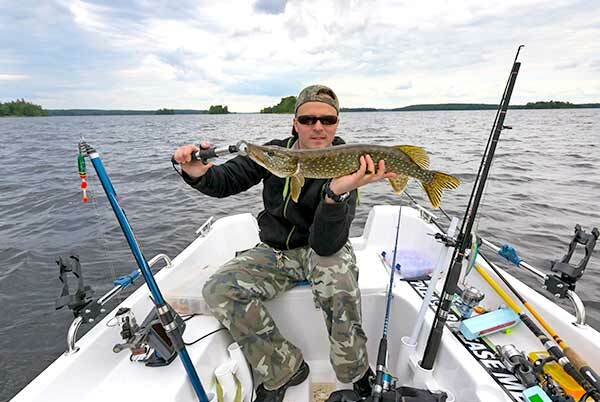 A non resident fishing license can be obtained at any location where fishing licenses are sold in the state. You may also be able to purchase your TX fishing license by phone or online. Although you are not technically required to renew a saltwater fishing license, you can apply for a new one with a licensed agent. There are roughly 1,700 locations across the state for you to purchase your saltwater license to fish from. Upon getting your new license, you may also choose to add select endorsements as part of your package. Fishing permit holders with a lost license or a damaged license are required to obtain a duplicate, per the standard rules of the Texas Parks and Wildlife Department. As part of the process, you will need to fill out an Application for Replacement License and include your driver’s license number, your date of birth and other important information. You must also specify the type of license you purchased and need replaced. If you are a resident of Texas who is currently serving in the military, you may purchase a saltwater fishing license with the proper documentation in hand. You must show proof of your military service orders, stating that your residential address is in Texas or that you have been stationed there for six months prior to applying. Senior residents can apply for one of the following fishing licenses: a Resident Senior Freshwater Fishing License, a Resident Senior Saltwater Fishing License or a Resident Senior All-Water Fishing License. Combination packages are also available. Take note that if your date of birth was before January 1, 1931, you are not required to get a fishing license. A lifetime saltwater fishing license is considered valid for the duration of the license holder’s life. In order to purchase a lifetime license, you can do so in one of three ways: in person, over the phone or online. If you would like to apply by phone, simply call the TXPWD at 1-800-792-1112. In person, you will need to visit a Texas Parks and Wildlife location to process your request.